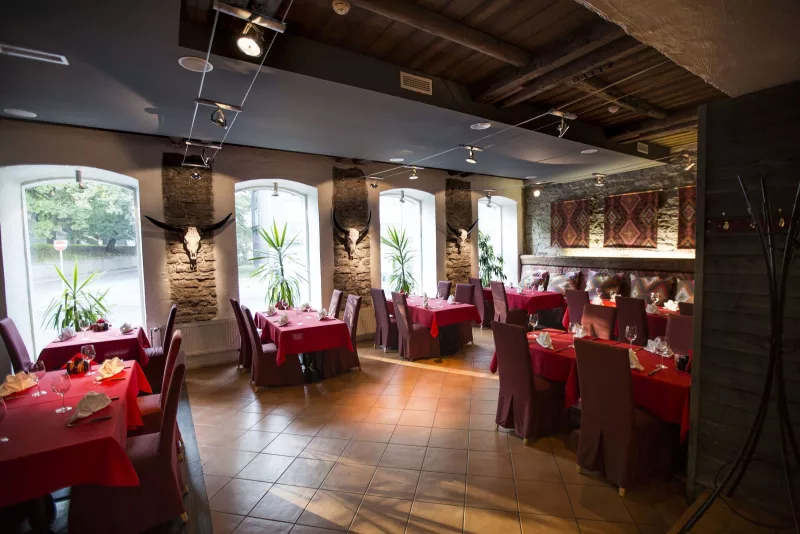 This meat eater’s paradise in Tallinn, Harjumaa emanates a southern aura and has pleased the senses of its diners for over 20 years. Famous for its asados, or barbecue parties, the kitchen has a blazing hot fire-powered barbecue oven and an asador. 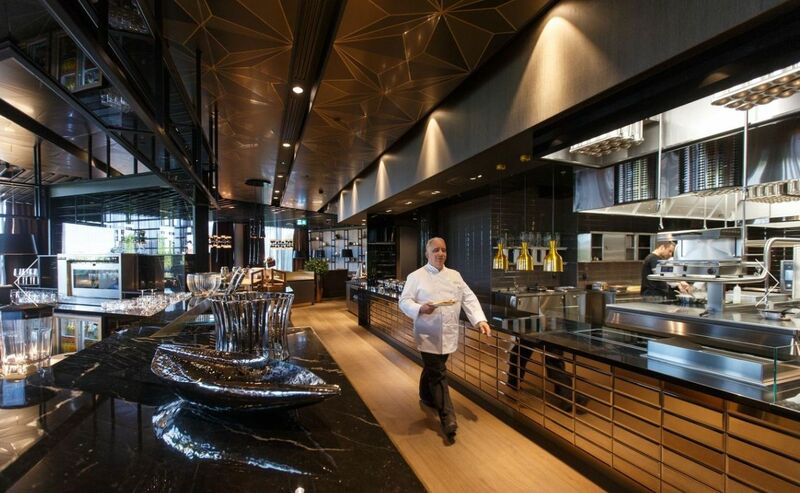 That oven and the ceramic barbecue oven are manned by head chef Konstanin Kisseljov, a master of sizzling, juicy steaks. The tantalizing cuts of meat are made on a blazing grill complete with real fire, right in front of customers. With excellent choices for all meat and fish lovers, their main attraction is their high quality beef, seasoned with the best secrets of Argentina. These steaks are paired with carefully selected fine wines from all corners of the world. In addition to the delicious food, skilled baristas along with La Marzocco offer rich, aromatic coffees. From midday to midnight, this restaurant is open every day of the week for your dining pleasure. A private hall with seating for 55 is available on the upper level, for meetings, trainings and seminars, gatherings, birthdays, and other events. Get a taste of America right in Scandanavia! 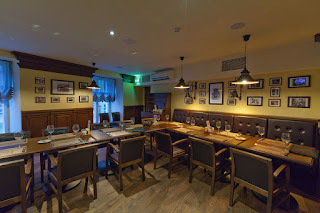 This is the only classic American steakhouse in all of the Baltics and Scandanavia, The Goodwin Steak House was created by a team of professionals with fantastic sense in steak house tradition, along with extensive first-hand experience. 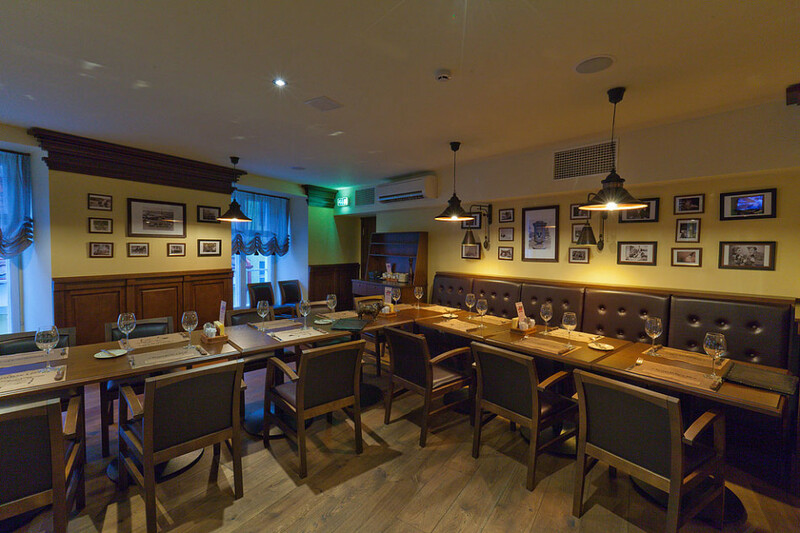 Having spent many years studying the concept in the US and Australia, where steak production and cooking culture originated, they are proud to present an authentic American steak house with all of the appropriate amenities. The first restaurant was opened in 2009, with the creators eager to share their love of steaks. According to the restaurant’s philosophy, three main principles comprise the art of steak house culture: the cult of beef, the cult of wine, and the cult of guests. The cult of beef is their signature approach to steaks, from beef selection to the technology used in the in-house cooking technique. The cult of wine is an utmost expertise in wine selection- they pride themselves in knowing the ins and outs of every single vintage the area has to offer and pair them perfectly with their signature steaks. The cult of guests is the inspiration behind their hospitality, in knowing and loving their guests and showing as much in the carefully crafted ambiance. Guests always enjoy their experience at the Goodwin Steak House, from the meals, drinks, music, and service to the open and friendly environment it has to offer. They guarantee that, upon trying what they have achieved, you will love their steaks and become a connoisseur of fine cuts of meat. 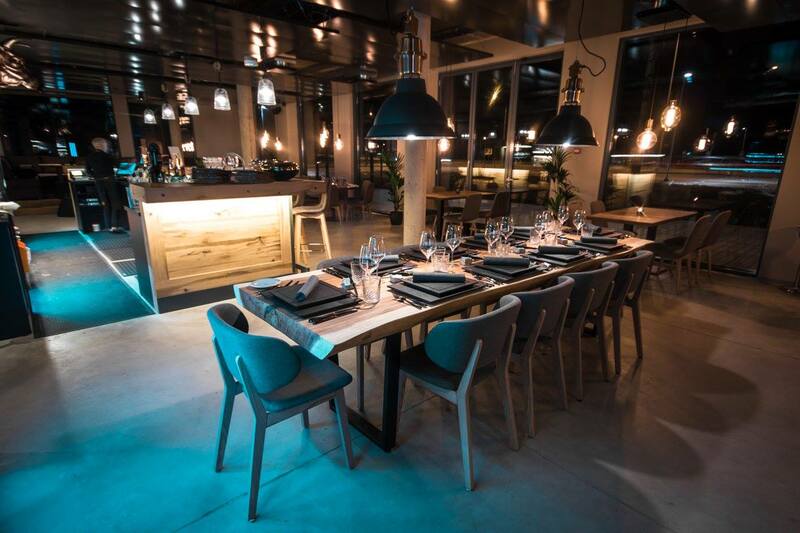 This “dashing” 70-seat steakhouse is located on the first floor of an office building. In the store portion, you have the opportunity to purchase the best cuts of meat in town, and glean advice from the best meat cooking method, to the most delectable sauce, and the most complementary wine. The restaurant offers breakfast, lunch, and evening dining, with a lovely terrace to eat outside in the Summer. The meat shop has a great selection of beef and lamb, cut into pieces of appropriate size and free of skins and other unnecessary parts. The meats are primarily sourced from Uruguay, Brazil, and Australia, with domestic beef cut into tenderloins, striploins, T-bone, and bone-in striploin. You can also purchase sauces, seasonings, handmade bread, and much more. With a classy ambiance and gorgeous menu, in addition to its quality products in its store, MEAT is sure to be a fantastic experience for the true steak aficionado. The Able Butcher presents a fully real-deal culinary journal that reflects the rural strength of the Black Angus free range Creekstone herd, which hails from Kansas and provides the succulent beefs for the Grill Master. Take in a morning coffee or pre-game your dinner with a drink on the restaurant’s beautiful open terrace, available year-round, with gorgeous views of an urban park and fountains place right ahead of a backdrop of the city. A private dining room for 12 guests is available, featuring a large floor-to-ceiling window with blackout curtains at hand for the ultimate solitary dining experience. The area features a large 55-inch TV for presentations or entertainment purposes. 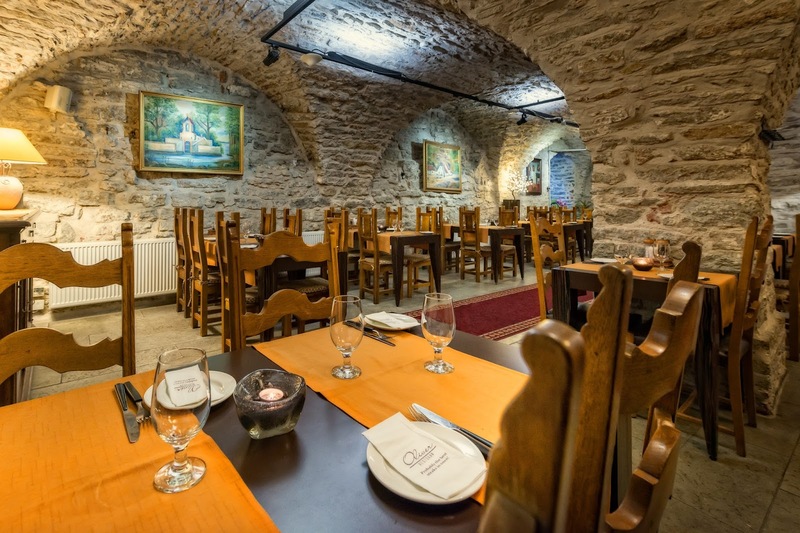 Restaurant Oliver is located in the heart of Tallinn, near the Town Hall Square. Guests can recognize the restaurant thanks to the mascot standing in the street. Mr. Oliver greets every guest with a smile. A cozy steak restaurant with international cuisine, Oliver’s prime objective is to draw in the finest clientele and maintain a top-notch satisfaction rate. The menu is very diverse and offers eaters an enormous selection of steaks, to which they can add plenty of side dishes and sauces to customize their meal. There is also a vegetarian menu, as well as fish, pasta, soup, salad, and appetizer options. Oliver prides itself on being family-friendly, with a menu that has many attractive choices for children of all ages, prepared with the freshest ingredients and pleasing flavors for all palates. The kids’ menus are 8-page activity booklets to keep active minds entertained and staying in their seats. They can choose their own meat, side dish, and sauce, just as in the adults’ menu. The restaurant also offers a kids’ area with a television, puzzles, toys, and coloring books. High chairs, a diaper changing station, and kids’ cutlery is available, and children receive a special surprise with their meal. 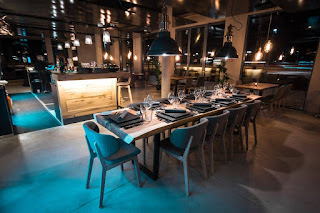 No Comment to " The 5 Best Steak Restaurants in Estonia "